Some of you might have been wondering what's been happening with Dion? He normally has some pretty good fishing reports and hot tips to share with the fishing community. Well, he has been busy locked away in his office working on a soon to be released magazine! The magazine titled 'about fishing NQ' will be an annual fishing magazine like no other. 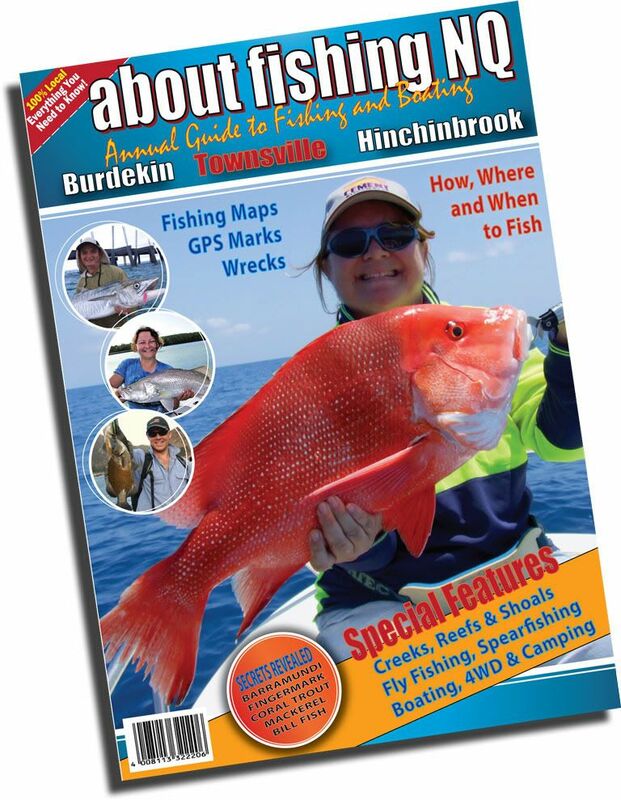 The magazine will feature "detailed fishing maps, GPS marks, and step by step instructions on fishing the entire Townsville, Hinchinbrook and Burdekin regions". It is the first of its kind, a "100% locally produced fishing guide, that showcases the very best of boating and fishing in North Queensland, all written by the most experienced, and passionate anglers, boaties and spearo's in North Queensland". Dion will be at the fishing expo all weekend to talk to fisherman and discuss his 200 page guide to fishing and boating in North Queensland that will be released this Christmas. You will have an opportunity to tell Dion what you would like to see in the publication by filling out a quick survey. This puts your name into the draw for a chance to WIN a $300 Tackle Pack. Along with Dion several of his writers, including myself, will be dropping in throughout the weekend. I will likely be at the expo most of Sunday. So come along, have a chat and talk fishing for a while.